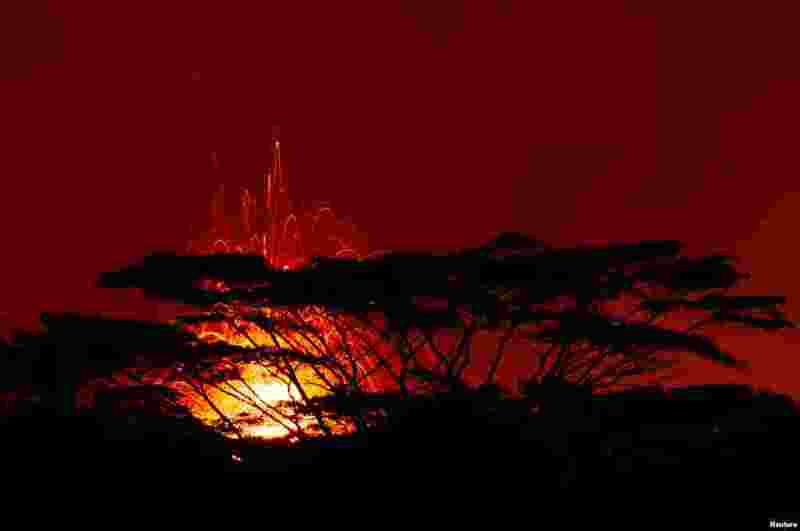 1 A 17th lava fissure erupts hundreds of feet in the air during a volcano outbreak in Pahoa, Hawaii. 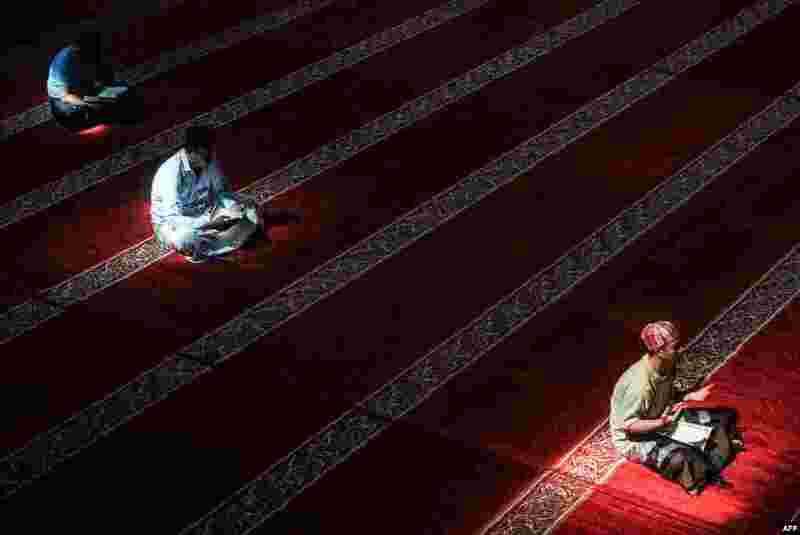 2 Indonesian Muslims read the Koran at a Mosque in Bandung, West Java, during the month of Ramadan. 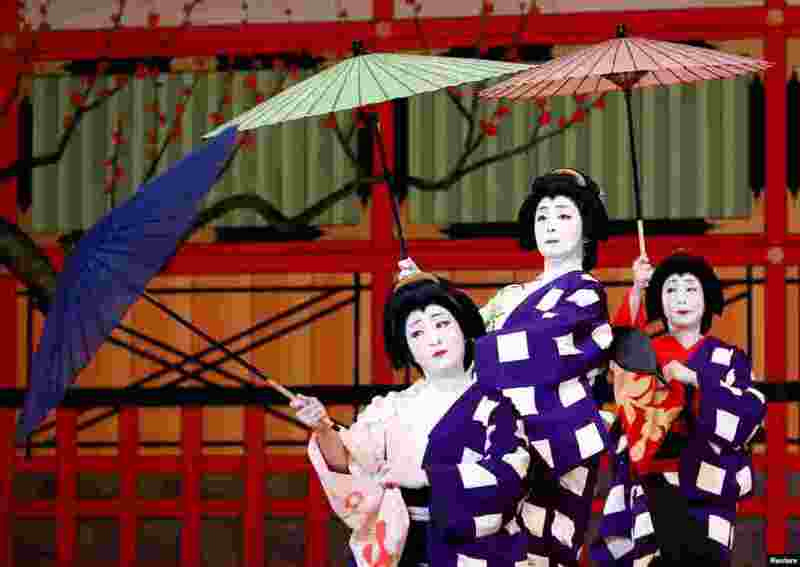 3 Geishas, traditional Japanese female entertainers, perform their dance during a press preview of the annual Azuma Odori Dance Festival at the Shinbashi Enbujo Theater in Tokyo, Japan. 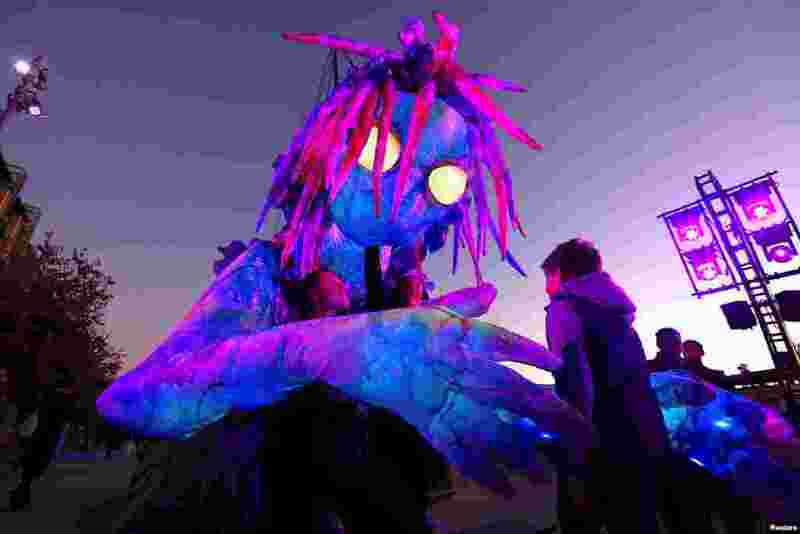 4 A boy looks at a six-meter tall luminescent puppet, operated by ten performers, during a preview of Vivid Sydney, promoted as the world’s largest festival of light, music and ideas.